ORLANDO, Florida — Moviegoers are fascinated by the fictional African nation of Wakanda, home to Marvel Comics’ superhero Black Panther. Just a little over a month ago, the comic book phenom burst onto the big screen, with Black Panther raking in more than $1 billion and is now inspiring a deeper dive into the film, including a look at the costuming of actors Chadwick Boseman, Angela Bassett and Lupita Nyong’o and others. Not that close attention is new to Ruth Carter, the woman behind the looks. 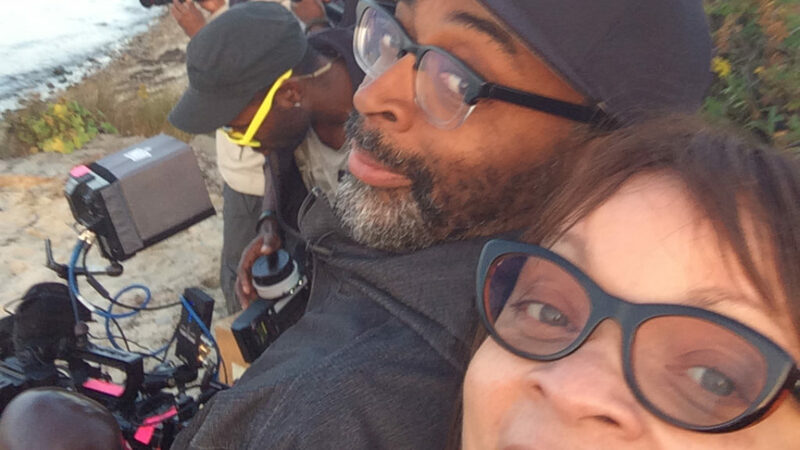 When the Oscar-nominated costume designer arrived on the campus of Hampton University in 1982, she did not realize she’d depart with a bachelor’s degree in theater arts. Starting out as an education major and switching gears as many students do, she now boasts a career of more than 40 films, including Amistad, Malcolm X, Do The Right Thing, School Daze and plethora of others. Carter was as an intern at the Santa Fe Opera in Springfield, Massachusetts, until moving to Los Angeles in 1986 and meeting director Spike Lee. Carter’s advice to children is to keep dreaming and dream big. She spoke to 100 students at the 2018 Disney Dreamers Academy in Orlando last week. She also spent time with parents and guardians at a private event withalongside ABC’s The View co-host Sunny Hostin and Mikki Taylor of Essence magazine. (From left to right) Mikki Taylor, Sunny Hostin and Ruth Carter discuss parenting and cultivating the goals of children at the 2018 Disney Dreamers Academy. Carter’s journey includes the designing of costumes for Jungle Fever, Mo’ Better Blues, What’s Love Got to Do With It, Four Brothers, Sparkle (2012), The Butler, Selma and Being Mary Jane.